Touch the rims to make sure they are cool before you clean them. Cleaning chrome wheels when they are cool helps prevent spotting. Spray each of the chrome rims with the water hose. Apply a light mist of water to rinse them thoroughlly. This helps loosen the dirt and debris on the rims before you clean them. Fill a bucket 3/4 full with cool water. Add 1 to 2 tablespoons of mild dishwashing soap to the water. Mix the water with your hand to achieve a sudsy consistency. Saturate the washcloth or sponge by dropping it in the bucket of soapy water. Rub the washcloth across the chrome rim to remove the bulk of the dirt, road debris and brake dust. Apply gentle pressure as you move the washcloth back and forth against the surface of your rim. 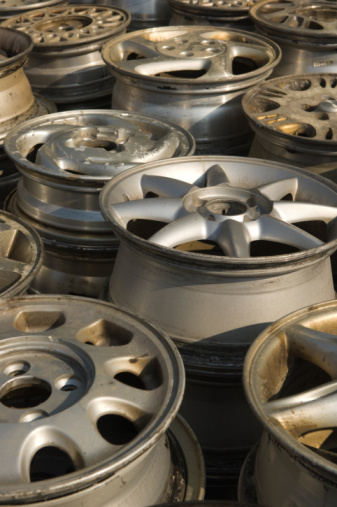 Rubbing the chrome too hard or intensely can actually remove some of the chrome from rims. Rinse the chrome rim with the water hose to inspect the rim for remaining dirt, dust and debris. 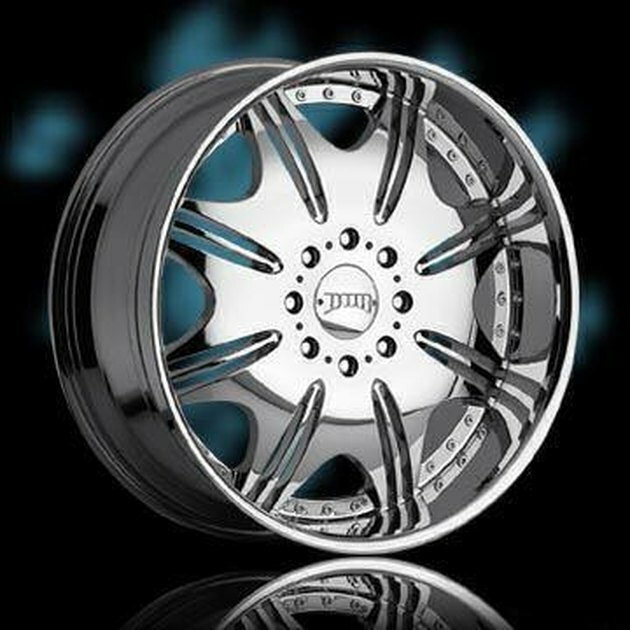 Pay close attention to the crevices of the chrome rim. Work the washcloth or sponge into the crevices of the rim to remove any remaining dirt or brake dust. Repeat the same process for each of the chrome rims. After you rinse the clean chrome rims with the water hose, let them air dry. Natalie Gailes is a full-time freelance writer. Throughout her freelance writing career, she has published hundreds of articles across many disciplines. Gailes graduated from the University of Texas at Austin and continues her "real-world" education at eHow.